Just southwest of Downtown, the Houston Museum District is a beautiful section of Houston that plays home to an organization of 20 museums, galleries, cultural centers, and community organizations. It’s hard to believe the tree-lined streets were once in disarray, but thankfully, a grassroots community movement in the late 1970s turned things around, creating the gorgeous, pedestrian-friendly ‘hood we know today. With so much culture and beauty, there’s no shortage of entertainment here, including these 5 neighborhood musts. Note: For the purposes of this list, the Museum District is defined as the area represented in this map. Explore art, history, and culture at the museums… for FREE – While visiting Houston’s lineup of renowned museums is pretty obvious, the free museum days they offer may not be. Some, like the innovative Contemporary Arts Museum Houston, locally and regionally inspired Station Museum of Contemporary Art and Lawndale Art Center (plus, their Mural Project), the deeply intriguing The Jung Center, and the craft-minded Houston Center for Contemporary Craft are always free. 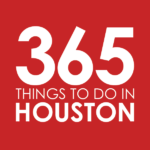 Others, like the Houston Museum of Natural Science, The Museum of Fine Arts, Houston, and Children’s Museum of Houston offer free days for either the entire museum or certain exhibits. Click here to get a full list of the free museums and free museum days. Hit the chef’s table at MF Sushi – Any meal at this impeccably fresh sushi restaurant is a good one, but it’s the omakase tasting at the sushi bar takes the cake. Omakase basically means “trust chef,” and with Chef Chris Kinjo – aka “Magic Fingers” – behind the concept, you can be sure you’ve put your trust in the right hands. Each course is as aesthetically pleasing as it is tasty, from the classic preparations to novel delights. Click here for directions. Feed giraffes and explore the gardens at Hermann Park – The picturesque Hermann Park is the place to bring anyone visiting, but locals should take trips here, too. For starters, it houses the Houston Zoo, where you’ll find more than 6,000 animals in natural habitat-style exhibits, including fan favorites like monkeys, elephants, and cheetahs. Guests can even feed giraffes at daily feedings, held at 11am and 2pm. Afterward, take a walk through the beautiful Japanese and McGovern Centennial Gardens. Kids will love taking a ride on the Hermann Park Railroad or a pedal boat out on the water. Click here for directions. 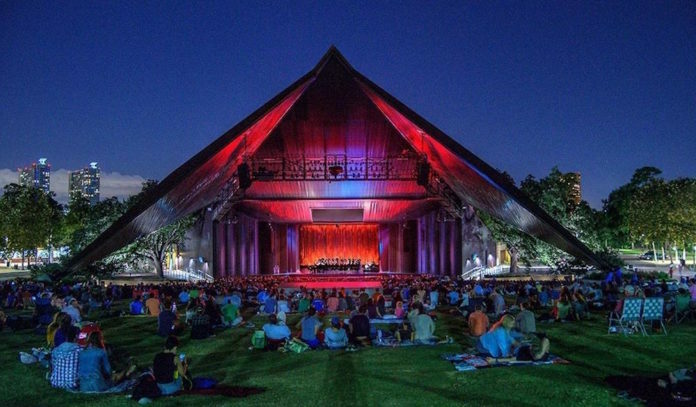 Cozy up for a free show at Miller Outdoor Theatre – Fact: You’re not a Houstonian until you’ve enjoyed a free show at this striking outdoor theater, which becomes even more striking once illuminated at night. The theater, also located in Hermann Park, puts on a variety of programming, ranging from children’s productions and a yearly Shakespeare Festival to performances from the Houston Ballet and popular concert artists. Bring a blanket or a chair, grab some snacks from the concession stand, and enjoy the show. Covered seating is also available for free, with some evening shows requiring tickets for covered seating. For those performances, assigned seat tickets are available, on a first-come basis and while supplies last, on the day of performance only between 10:30am and 1pm at the box office behind the theater. Click here for directions. Unwind with a drink – Though you may come to this neighborhood for its beauty and culture, trekking through all of those museums can be quite draining. Good thing you can relax and quench your thirst at one of the district’s finest watering holes. If you’re feeling fancy, the sultry bar at Hotel ZaZa should fit the bill quite nicely. For great eats and drinks, check out Chef Chris Williams‘ Lucille’s, a Southern kitchen offering a great patio, weekday happy hour, and live music on Friday nights. Those looking for a divey atmosphere can seek solace at Grand Prize Bar, a two-story haunt set just outside the borders of the ‘hood. But don’t be fooled, just because GPB has cheap drinks doesn’t mean the bartenders don’t know how to craft a mighty fine cocktail. Be sure to check out their menu while you’re there.